Why….do “GEYSERS” just not last? Something that the majority of plumbers and suppliers neglect to mention to you as the home owner when installing a hot water cylinder is that the majority of high pressure cylinders have what is termed a “sacrificial anode”. The task of the sacrificial anode is, as its name implies, to sacrifice itself to corrosion in order to save the inner lining of the cylinder and thus prolong the life of the geyser. For years sacrificial anodes have been used on ships and various other metalic objects that are in constant contact with water. Most standard high pressure geysers are factory fitted with a magnesium alloy anode when purchased but it is the owners responsibility to have this item replaced every 18months. 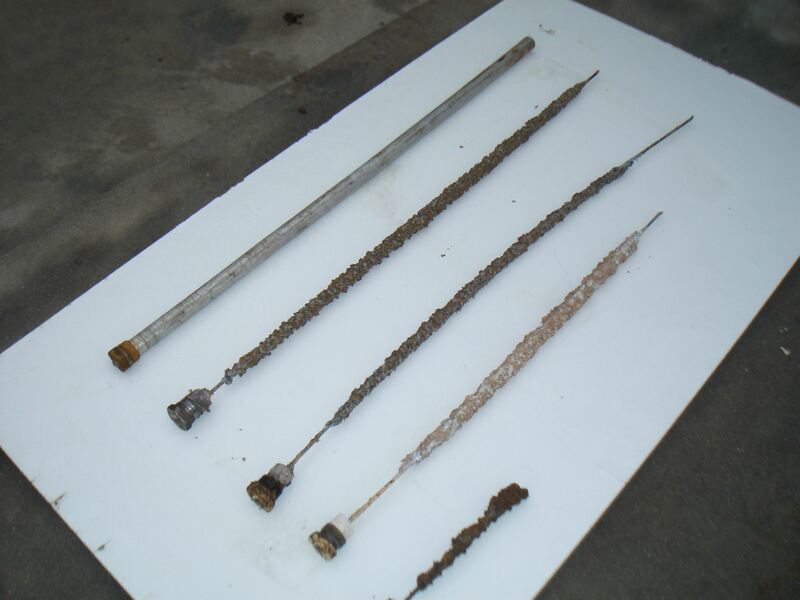 If ignored, the anode will ultimately succumb to corrosion thus rendering the cylinder vulnerable to the inevitable internal corrosion that must follow. The average geysers lifespan will tend to vary from one installation to the next as factors such as water conditions, temperature settings, operational pressures and the prevalence of limescale all have an influence on this time frame. Ultimately though an inexpensive structured maintenance schedule that includes inspections of the anode, safety valve pressure valve and vacuum breakers will always be a fraction of the cost of a wholesale geyser replacement.